There will be no more MOTÖRHEAD tours because Lemmy is no longer here, and many, many people did not get a chance to hear them one more time on what proved to be their last-ever piece of road work. This makes Clean Your Clock a vitally important release. It is both a celebration and an epitaph, glorious yet not without melancholy, maintaining the warmth and curve of Motörhead's unique live sound. On November 20 and 21, 2015, at the Zenith in Munich, Germany, UDR made the decision to record - what happened to be the very last live shows ever recorded - and MOTÖRHEAD proceeded to deliver two storming sold out shows. Where there had once been almost too-fast breakneck pace, there was measured yet still thunderous rock'n'roll served up only as they could, Phil Campbell playing better and better, and Mikkey Dee elevating the art of drumming to the superlative heights which made him one of metal's most coveted skinsmen. Lemmy sounds so dialed in, a little mean even (in the best possible way) snarling here and there, cackling when appropriate, and singing in a way which will defy every single pre-conceived expectation you might have had. Yes, he was fighting ailments. But no, he was not flimsy or faded, in fact on Clean Your Clock he lays down the marker for all near-70 year olds in terms of wicked bad-assery. 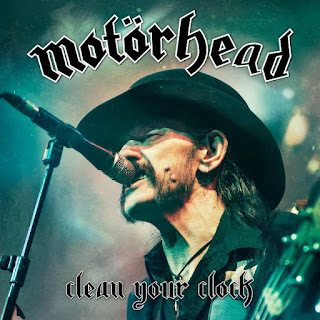 Clean Your Clock is the natural sound of one of rock'n'roll's mightiest, rarest and most astoundingly excellent beasts - MOTÖRHEAD. There isn't a plaudit they haven't received and there isn't a plaudit they don't deserve. And if there had to be a 'final' MOTÖRHEAD album, perhaps it is fitting that Clean Your Clock, a superb live encapsulation of the band at home, is the one. 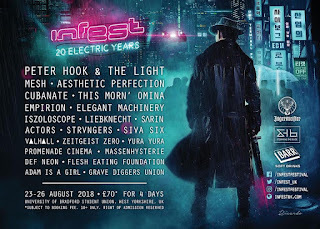 So TURN-THIS-UP because as Lemmy himself said, the only way to feel the noise is when it's good and loud... and remember Lemmy and MOTÖRHEAD in the best possible way!